The Side fix L frame is designed for fixing the frame sideways into a recess. 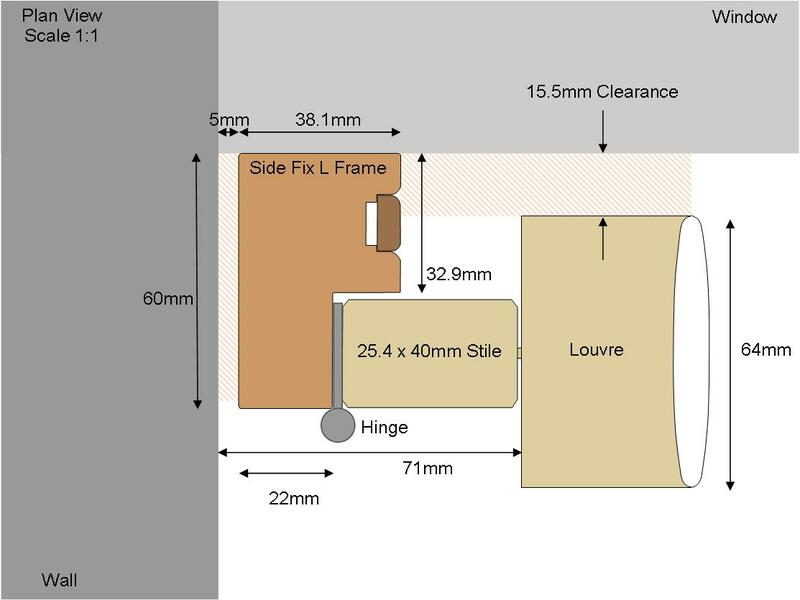 Also called the Deep plain L frame, its 60mm deep and has a removable insert running around the inside edge of the frame covering the screw holes so you can fix sideways into the wall. It has a plain front to the frame, making a good frame to use if your fitting tight in the recess and using filler, it can also be cut/planned to shape to fit the window recess. It’s designed to be fitted without the shadow gap, so it’s harder to install as the frame has to be fitted independently of the shutters. This means levelling the frame and ensuring its square when screwed into place. 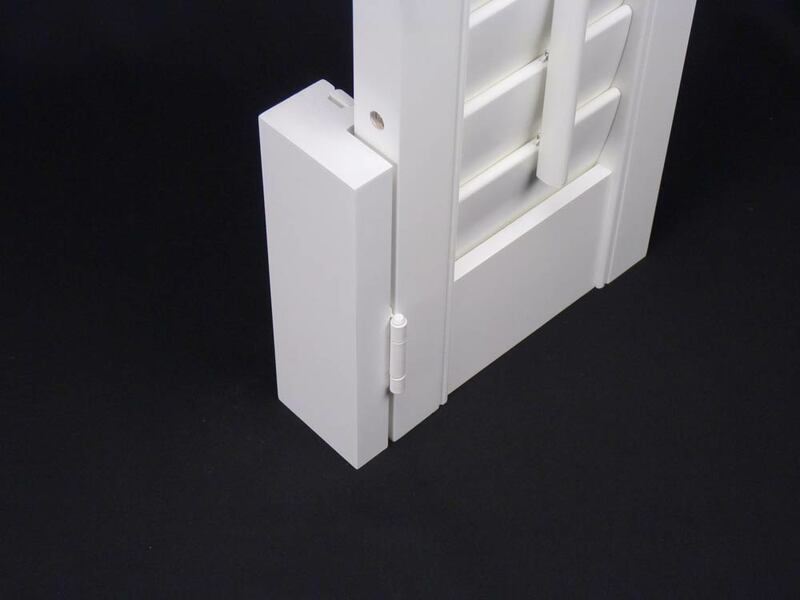 Designed for recessed windows, allowing you install the frame anywhere within the recess in front of any protruding objects like handles or trim. MEASURING – The side fix L frame is measured to the edge of the outer frame, everything within this outer frame dimension is then calculated by the factory, apart from rail heights and Tposts. 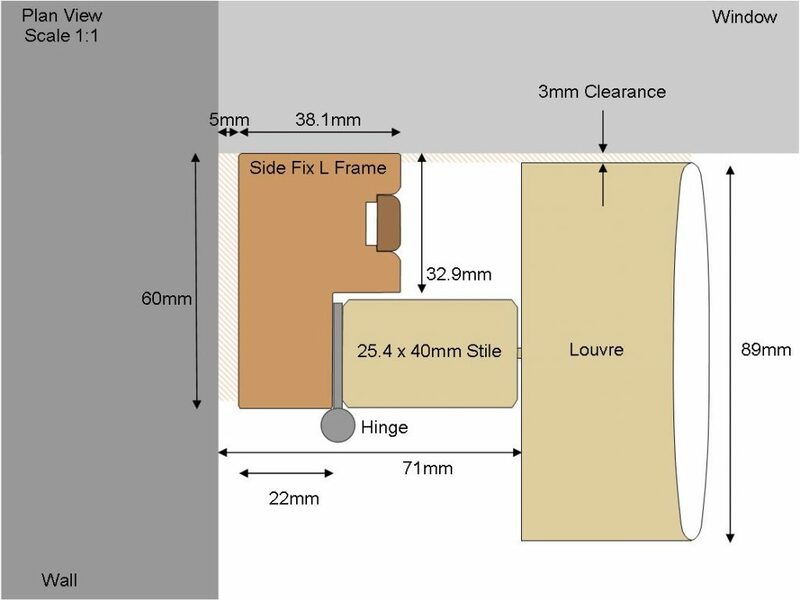 FRAME MITRES – Frames are connected at the corners using interlocking hoffman keys, we recommend screwing the mitres on wooden frames and glueing the mitres on MDF frames to stop the mitres pulling apart when side fixing. 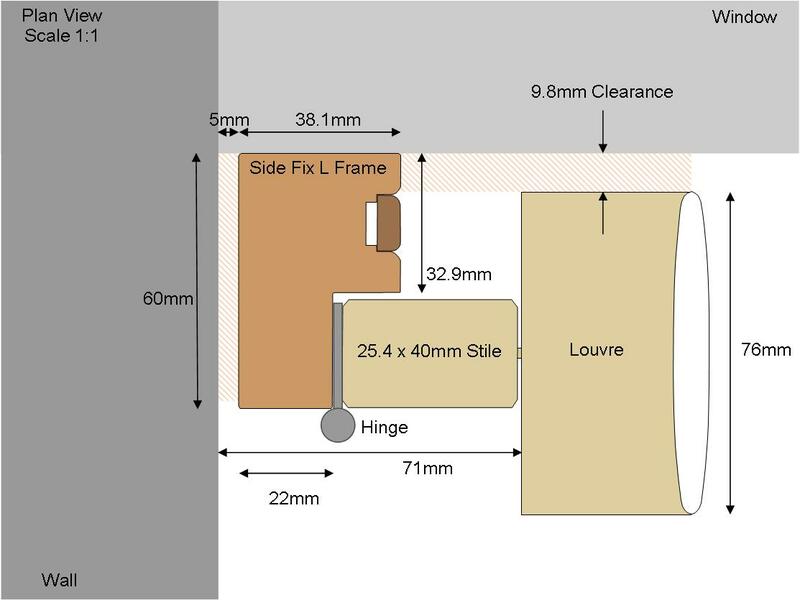 FITTING CLEARANCE – Typically we suggest deducting 5-6mm from your smallest recess sizes, the final deduction will depend on how square or level the window is. There is only one frame, the depth is 60mm.